A multi-pronged approach is crucial in the campaign to eliminate obstetric fistula. In partnership with Ashoka and collaboration with Teso schools, TERREWODE arranges change-makers events to inspire and empower students to overcome social, economic and reproductive health barriers exposing them to fistula. We focus our efforts on prevention of obstetric fistula using a multi-pronged approach in communities where we work. We believe improvement of poor conventional health care and economic systems is key to eliminating obstetric fistula. We recognize that the women and girls mostly affected by these poor systems must play a central role in leading and informing discussions for change. Innovations such as the provision of free safe birth kits make health centers a more attractive place for expectant mothers to both attend antenatal clinics and give birth. We partner with health facilities to achieve this. Through support of Obstetric Fistula Awareness and Advocacy Network (OFAAN) members – a diverse and vibrant network of community volunteers – we ensure continuous fistula education in communities. Our OFAAN is a vibrant grassroots network of trained outreach volunteers working tirelessly to spread awareness about the causes and risk factors of obstetric fistula in communities. OFAAN members assist expectant mothers and their families to plan for the delivery of their baby. This includes educating families on risk factors for obstetric fistula, encouraging them to save money in preparation for childbirth and to attend antenatal care clinics regularly as per medical recommendations. Our grassroots educational school-based programs, run by the OFAAN in partnership with schools, promote the rights of girls to education, health and property acquisition. 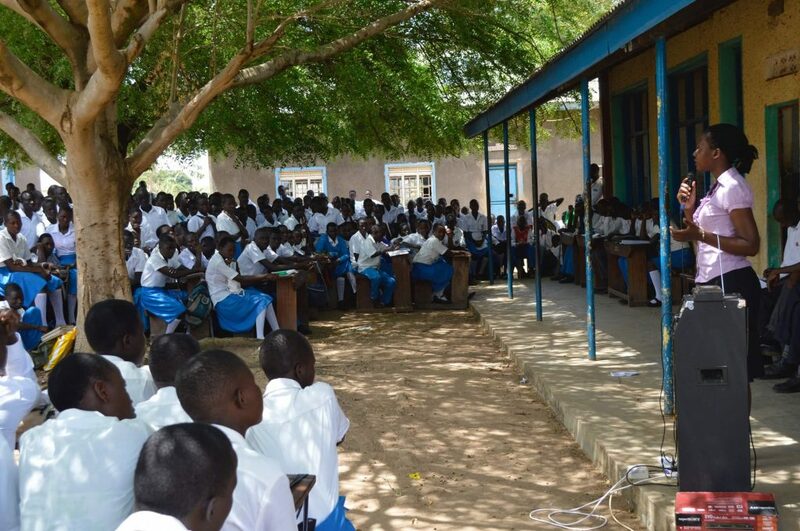 These programs familiarize students with the causes of obstetric fistula and steps they should take to prevent it.